Enlarge The in-akustik mains cables and power strips filter the current and deliver "clean" currents for your HiFi system. Use of the best materials and excellent workmanship guarantee maximum dynamics, even for extreme loads. Complete screening and a special fi lter prevent radio frequencies from being received which would turn the cable into an aerial. 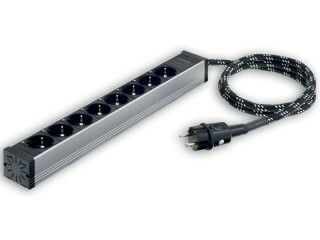 Solid line bars in the power strips distribute the power homogeneously to all outlets. 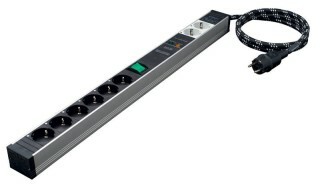 Furthermore, the sockets are divided into two groups with the AC-2502-SF8 power strip. Group 1: The two grey sockets are directly and permanently connected to the mains supply. This means that power amplifi ers, active subwoofers or other power-hungry devices that should not be disconnected from the mains, can remain connected. Group 2: The six black sockets can be separated from the mains supply using a switch. The additional mains fi lter makes this group especially suitable for source devices such as CD players, preamplifi ers, phono pre-amps and other precision electronics. Enlarge The Reference power bars filter unwanted interference out of the power supply, without introducing additional source impedance. Thanks to the use of high-quality materials and excellent workmanship, they provide maximum dynamics, even for extreme loads. Their full shielding and special filters prevent radio frequencies from being received. 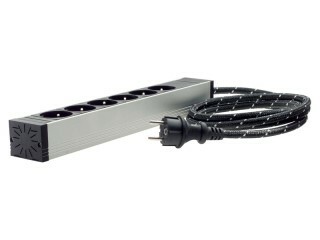 Solid power bars in the power strips distribute the power homogeneously to all outlets. 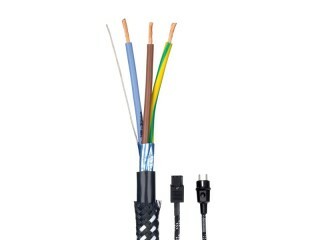 Enlarge The Reference mains cable ensures a stabile and clean supply of power. 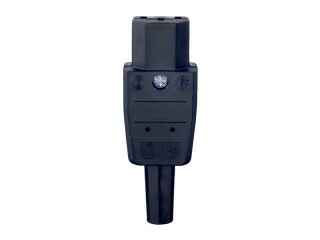 The shielding provides reliable protection from interference and the innovative in-plug ilter provides additional decoupling for the equipment. 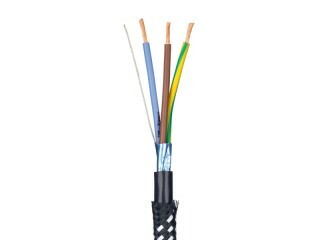 Enlarge The Reference mains cable ensures a stabile and clean supply of power. 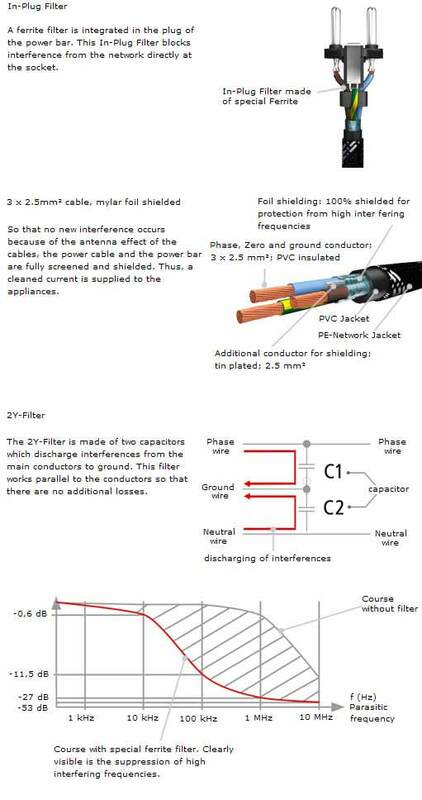 The shielding provides reliable protection from interference.